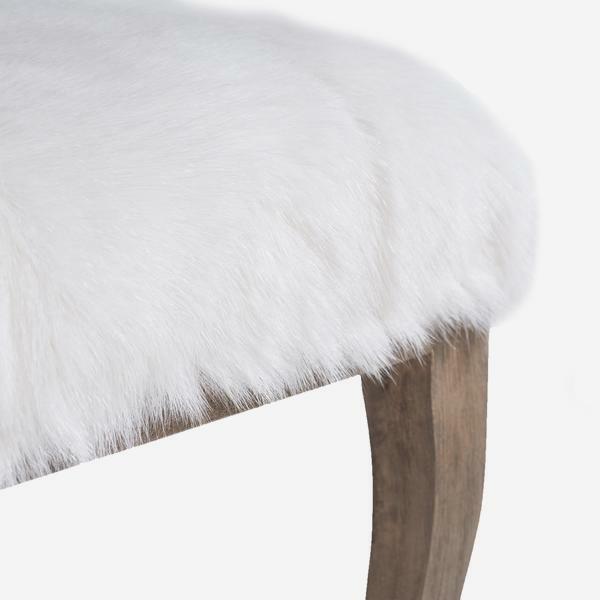 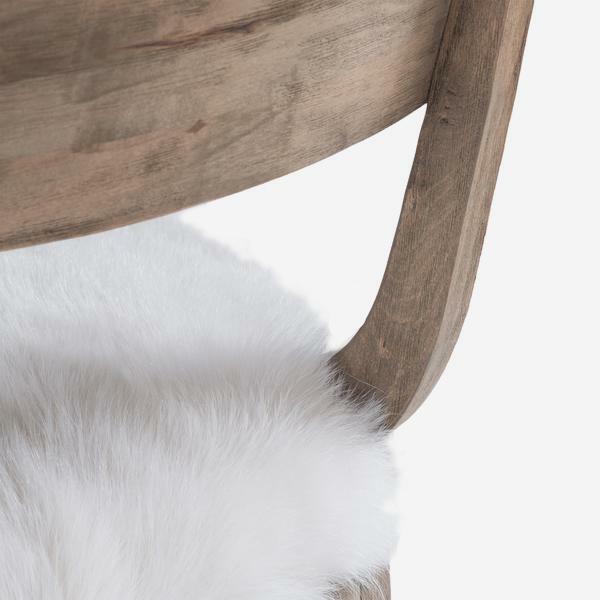 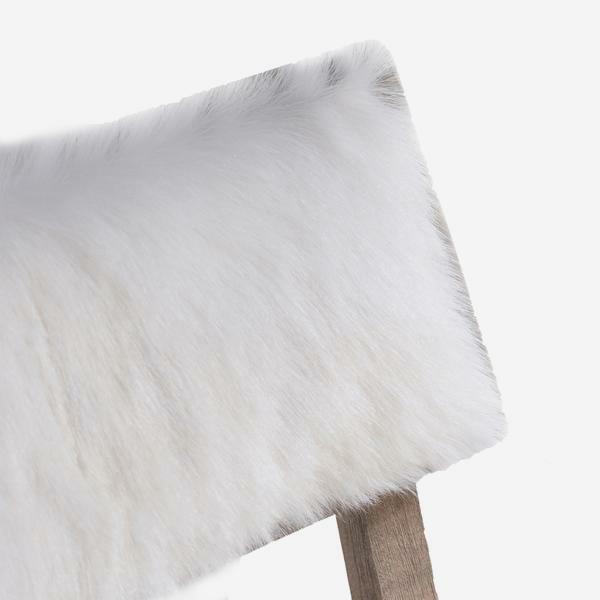 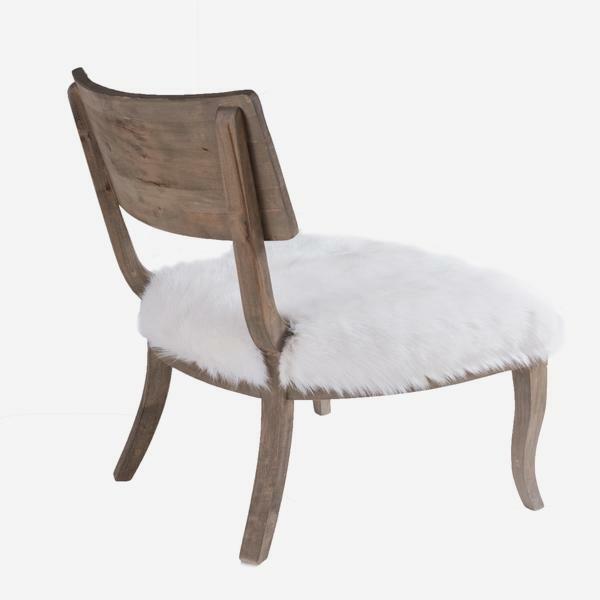 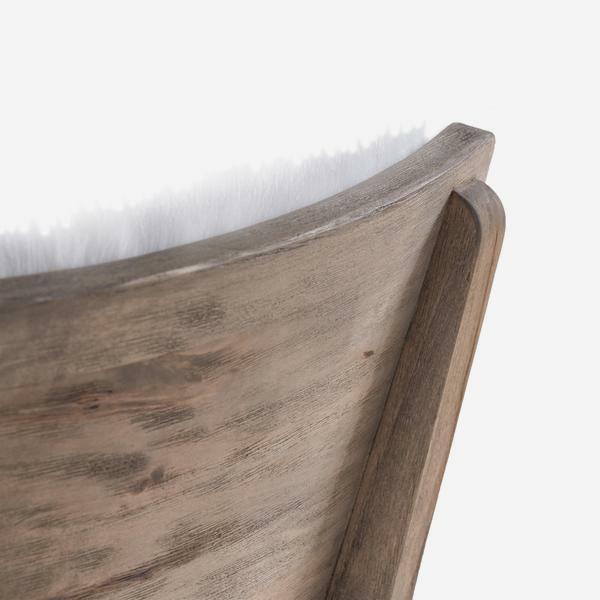 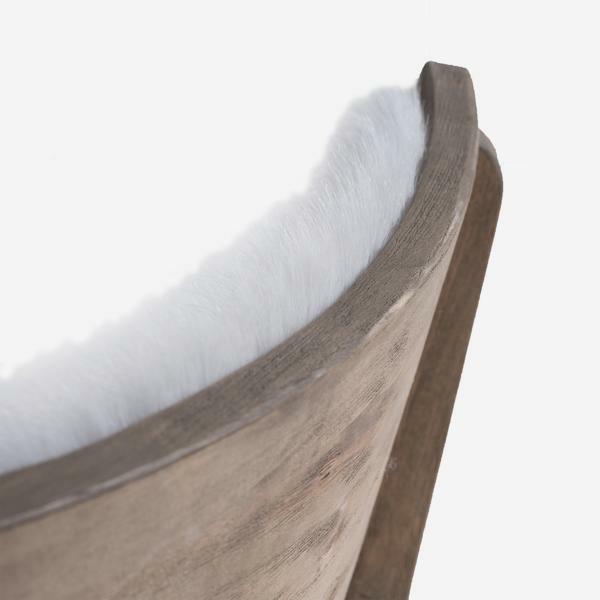 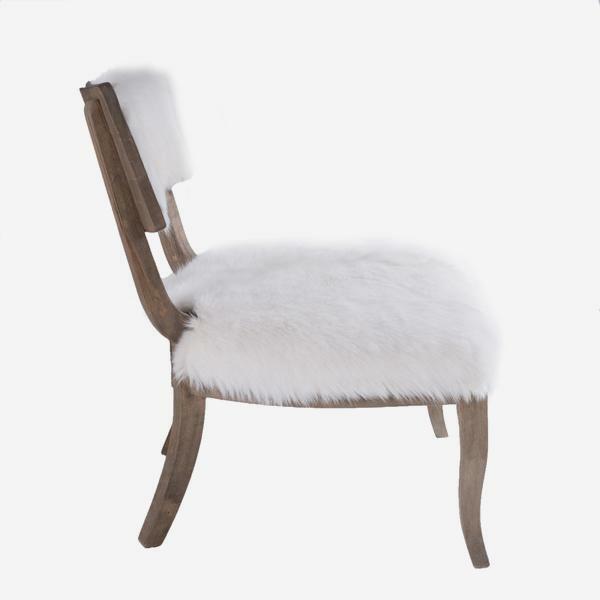 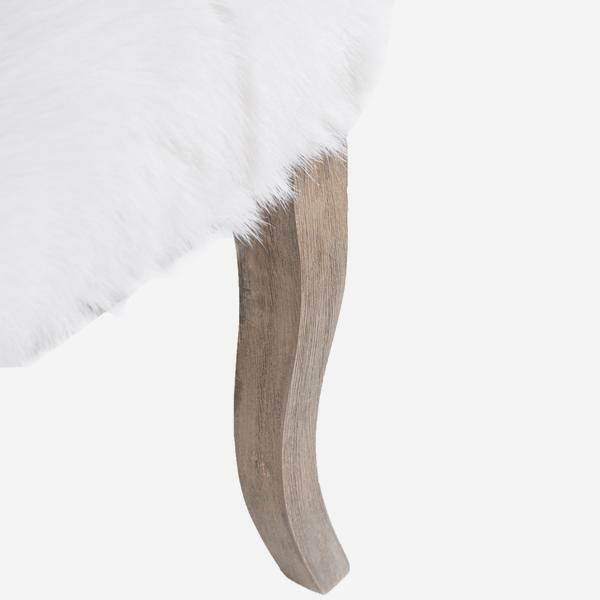 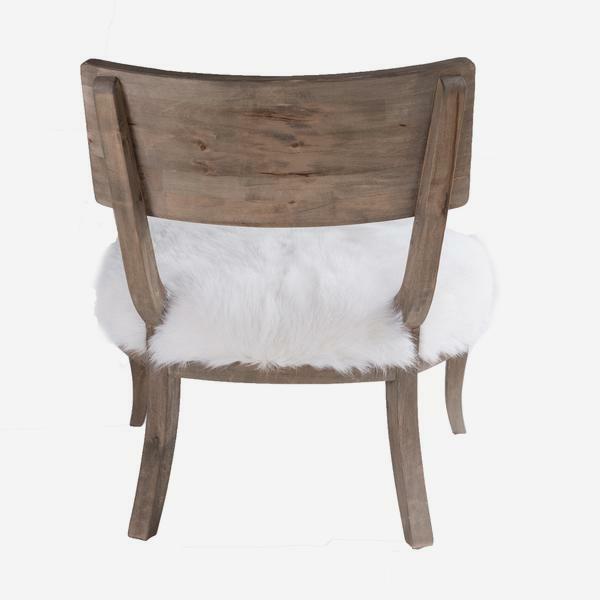 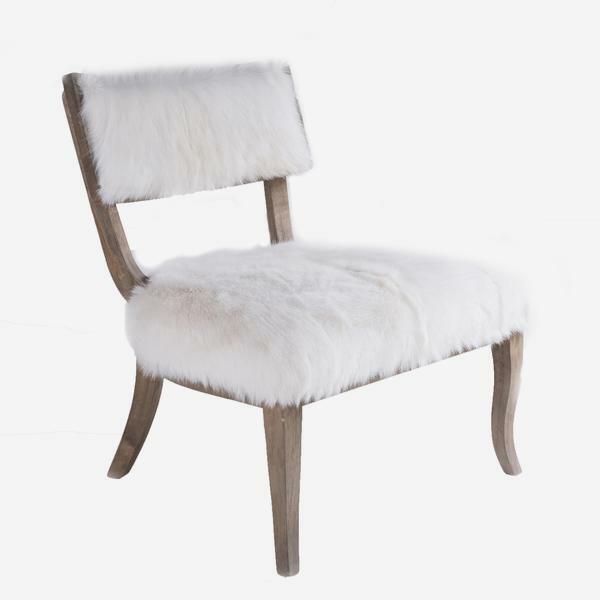 An armless chair in rustic wood with a seat and backrest in white shaggy goat hide. 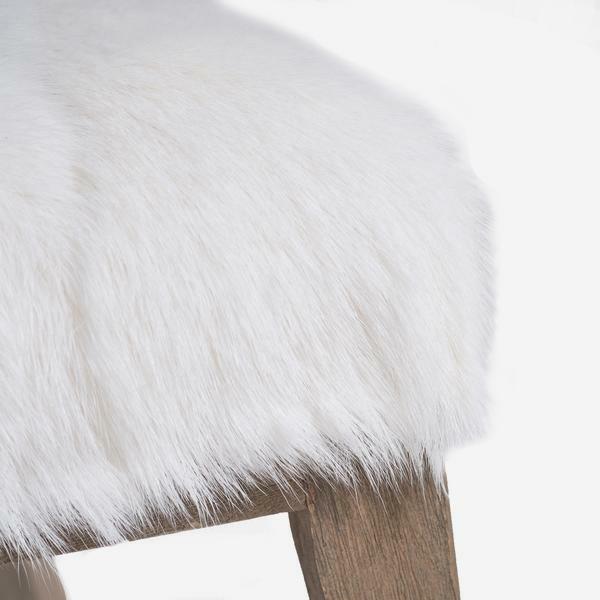 Murphy doesn't take itself too seriously, it is stylised with a hint of humour and it will give you a shaggy hug. 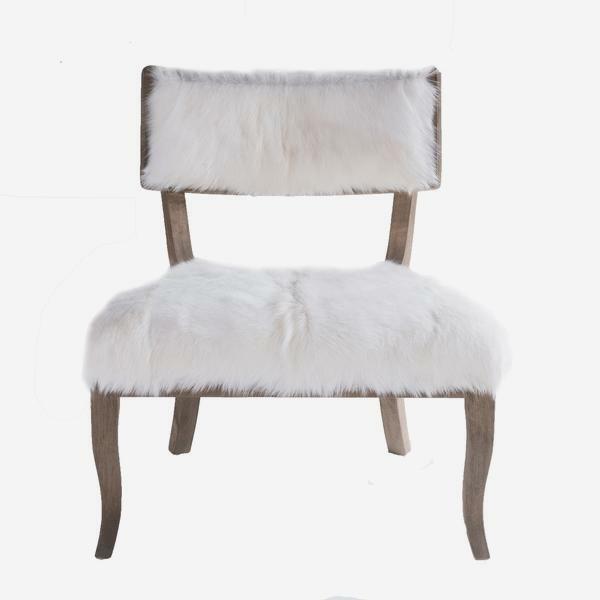 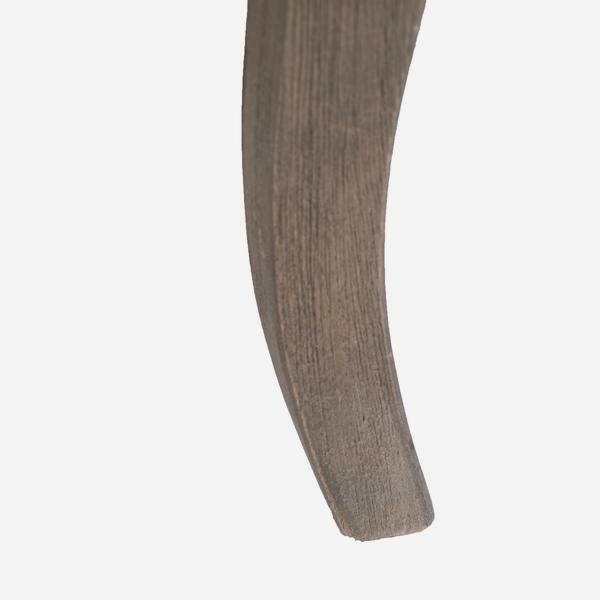 Perfect as an occasional chair in a bedroom or living room.